Eleven competitors formed The National Team for the Sport Nunchaku Team G.B. 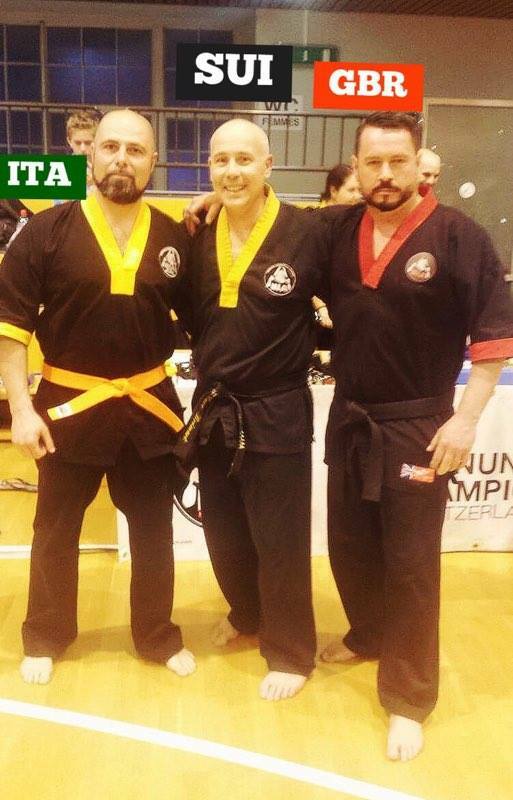 in the World Championships, that took place in Vevey, Switzerland over the weekend of March 19th and 20th 2016. 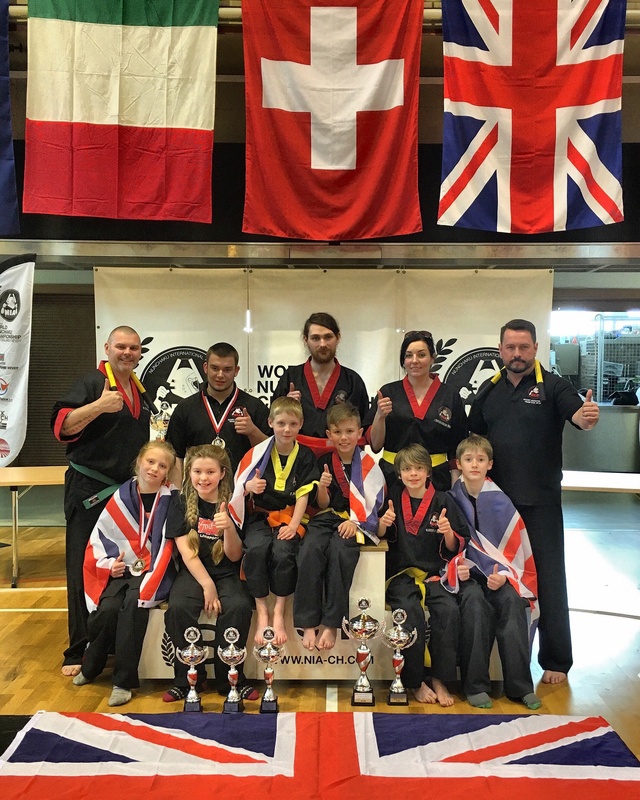 The team, led by Sensei Richard Smith (National Coach and Vice-President of the Nunchaku International Academy – NIA), returned with a successful haul of nine medals; two for combat and seven for freestyle. 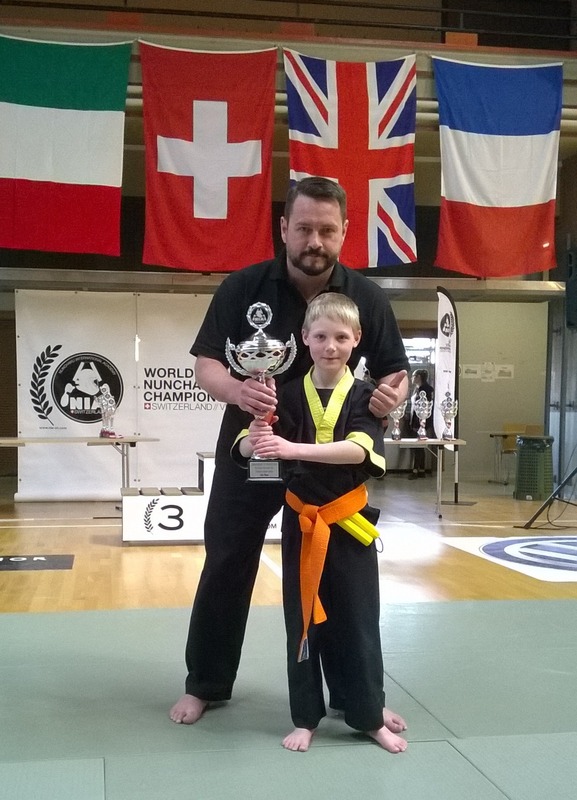 Fred Audin, of Kendal-Ghyllside School, won the combat competition in the 6-9 age group, thus retaining the Combat World Champion title he gained in Kendal at the World Championships in 2015. The next day Fred became a double world champion by winning the Freestyle competition. Although only aged 8, this was Fred’s third international competition, and his most successful. With the influential experience and guidance from Sensei Smith, Fred, and other members of the team committed to intensive training a full six-months before the tournament began. The team trained five times a week, including 6am starts three times a week, and monthly three-hour intensive training workshops. The success of Fred and team vindicates the dedication showed by the entire team to their training. A big well done to Joel Emerson took Silver in freestyle Nunchaku. More success came from the Cumbria-based team members in the 10-13 age group. 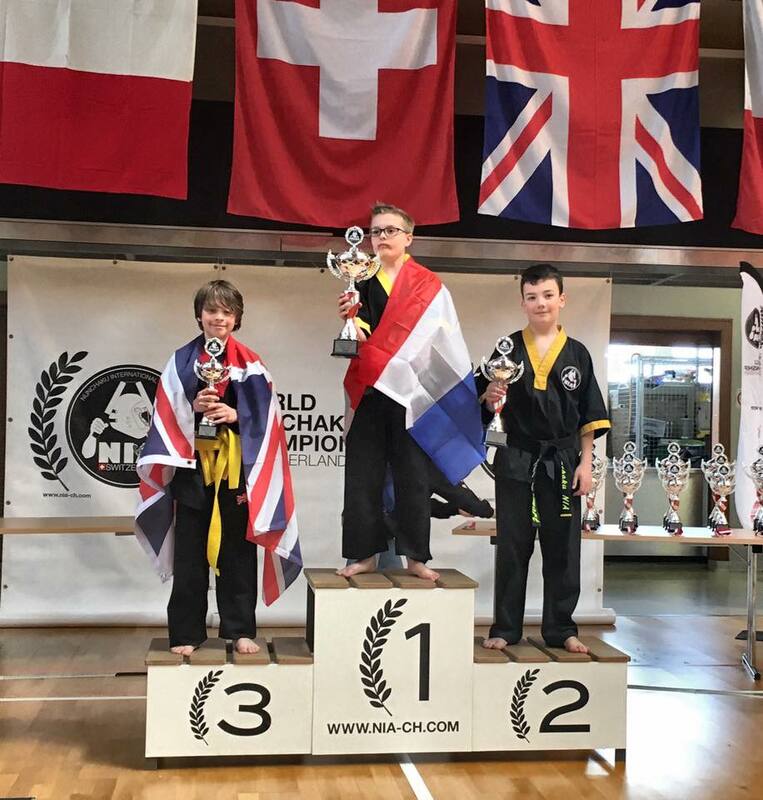 Rohan Greenslade, delivered an excellent Freestyle routine to gain a bronze medal in his first overseas competition. -Jemma Emerson5th place Freestyle, 8th place Combat. 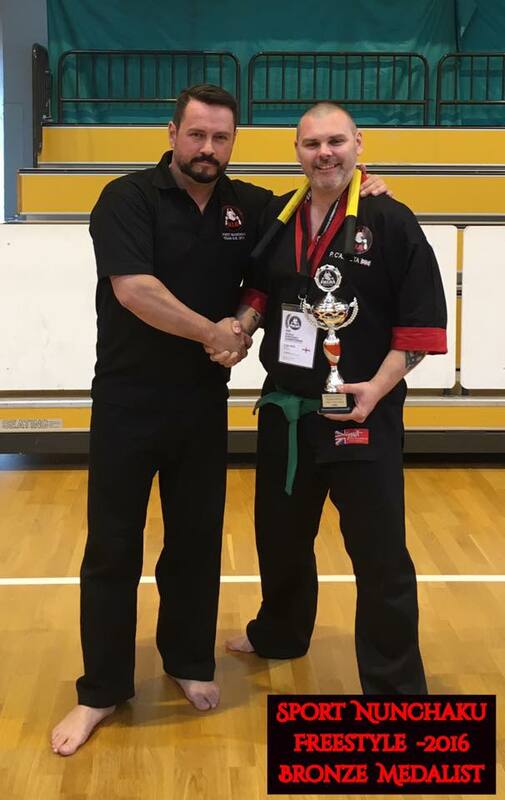 Peter C’ailceta (Bronze medal Freestyle & 8th place Combat) runs the Liverpool Sport Nunchaku club under the tutelage of Sensei Smith, and as such, his achievement is a significant step forward for Sport Nunchaku UK. 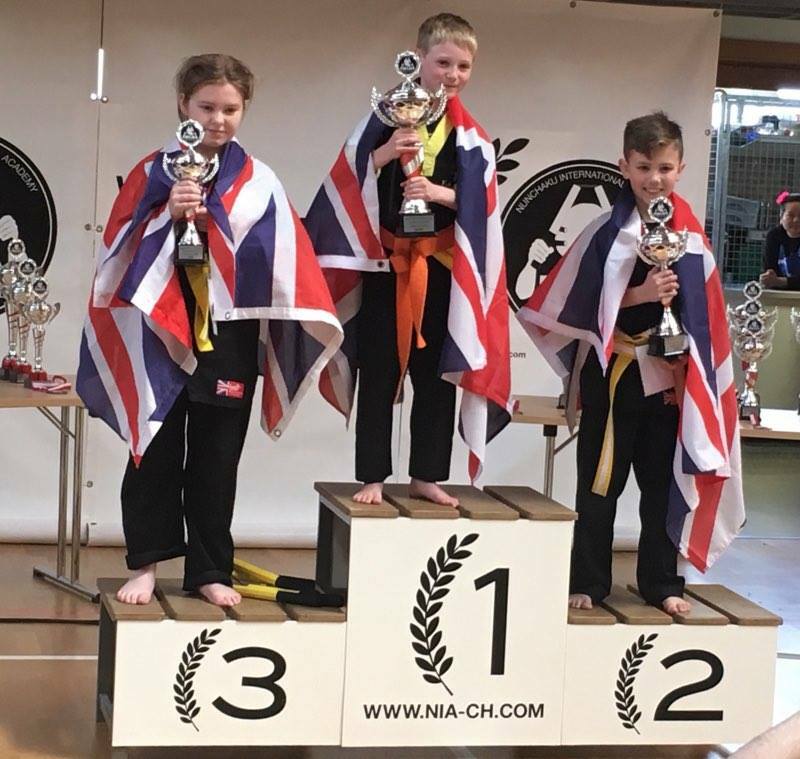 Daniel Charnley (Cumbria), Tom Hood and Jemma Emerson-Gregory (both Liverpool) completed the Team GB competitors and performed very well in their combat and freestyle competitions. To round off a hugely successful world championship competition, Sensei Richard Smith received his 4th Dan Nunchaku in a special ceremony led by the NIA president, Sensei Marc Brémart 5th Dan Nunchaku. He also gained 5th place in the Masters combat division. The championship was superbly organized by Marc Brémart. In addition, the competition was well attended by representatives from various countries around the world, most notably Switzerland, France, Holland and Italy. It was particularly pleasing to have Gerardo Rossignoli of Italy present, a new representative of NIA. Special thanks are reserved for Bergen Tree Services, parents, family and friends, who have supported the team since the training began. We now turn our attention to the next Sport Nunchaku World Championships taking place in Paris, France, in 2017. Anyone who would like to be a part of Sport Nunchaku in Great Britain either National / International, European and World Nunchaku championship competitions please PM or call Sensei Richard Smith, 4th Dan Nunchaku, 6th Dan Ju-Jitsu, 2nd Dan Kobudo on 07718530346.